"Poetic Soul draws upon Cathleen's maturing experience as a designer to incorporate the elements that brides worldwide have come to know and love." 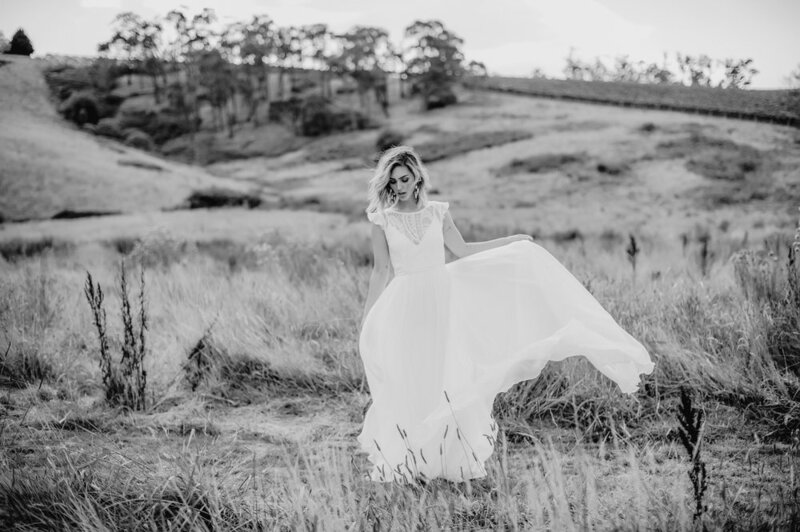 Australian wedding dress designer, Cathleen Jia is known for her romantic, vintage-inspired bridal gowns that unify contemporary elements for the modern-day bride. Her latest ready to wear collection, Poetic Soul, draws upon Cathleen's maturing experience as a designer to incorporate the elements that brides worldwide have come to know and love about her designs. The pieces incorporate vintage style lace with modern silhouettes to infuse refreshed life and style into classic looks. Cathleen Jia's understanding of dressing for any body shape shines through, with her use of luxurious materials, draping, fabric manipulation and non-traditional detail applications creating truly stunning and flattering vintage inspire looks. Poetic Soul builds upon the strong foundation of her previous two Bridal Separates collections, Love Struck and Wild Romance. The mix-and-match layering nature of the collections allow brides to combine their favourite pieces from any of the collections to create a truly unique bridal look true to their individual style. The new collection has recently been launched at London Bridal Fashion Week.